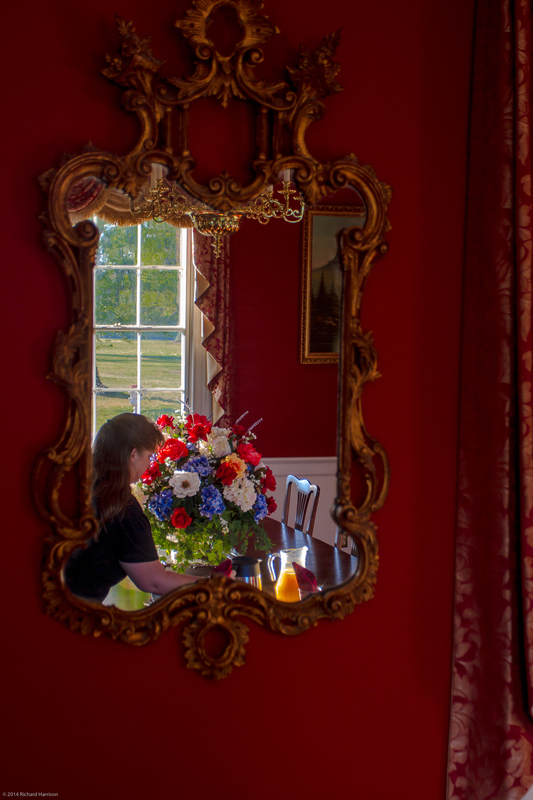 I had lots of shots of you in your role as docent – they really should be done with video and sound – but this was the only one I had of your role as host attending to the little details that make your B&B a premier destination. Talk about seeing the past in the mirror … how many times have I passed this mirror as I hurried to get breakfast on the table. What this mirror could tell if it could talk to us!